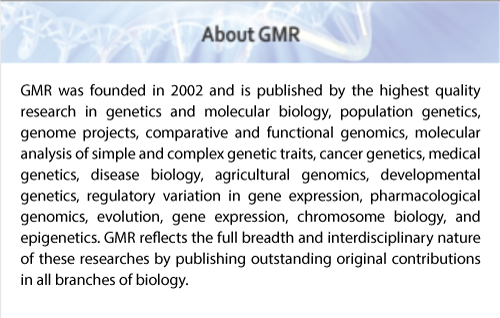 GMR publishes corrections, retractions, and expressions of concern as appropriate, and as quickly as possible. We follow the ICMJE and COPE guidelines where applicable. A notice of correction will be issued by GMR to document and correct substantial errors that appear in online articles when these errors significantly affect the content or understanding of the work reported (e.g., errors in data presentation or analysis) or when the errors affects the publication's metadata (e.g., misspelling of an author's name). In these cases, PLOS will publish a correction linked to the original article. In very rare cases, we may choose to correct the article itself and re-post it online. If that course is taken, a correction notice will also be created to document the changes to the original article. Authors who wish to alert GMR to a situation in which a correction may be warranted are requested to contact us with the relevant details (journal, full citation of the article, and description of the error) at [[email protected]].